X is the number of resource tokens here. Cannot leave the staging area. If Gollum is not in play, any resource tokens that would be placed on Gollum are placed here instead. 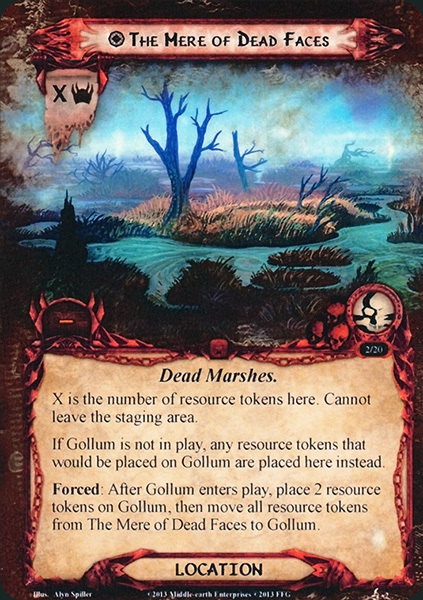 Forced: After Gollum enters play, place 2 resource tokens on Gollum , then move all resource tokens from The Mere of Dead Faces to Gollum.